Plastic recycling refers to the process of recovering waste or scrap plastic and reprocessing the materials into functional and useful products. This activity is known as the plastic recycling process. The goal of recycling plastic is to reduce high rates of plastic pollution while putting less pressure on virgin materials to produce brand new plastic products. This approach helps to conserve resources and diverts plastics from landfills or unintended destinations such as oceans. Plastics are durable, lightweight and inexpensive materials. They can readily be molded into various products which find uses in a plethora of applications. Every year, more than 100 million tons of plastics are manufactured across the globe. Around 200 billion pounds of new plastic material is thermoformed, foamed, laminated and extruded into millions of packages and products. Consequently, the reuse, recovery and the recycling of plastics are extremely important. PS (Polystyrene) – Example: foam hot drink cups, plastic cutlery, containers, and yogurt. PP (Polypropylene) – Example: lunch boxes, take-out food containers, ice cream containers. LDPE (Low-density polyethylene) – Example: garbage bins and bags. PVC (Plasticised Polyvinyl chloride or polyvinyl chloride)—Example: cordial, juice or squeeze bottles. HDPE (High-density polyethylene) – Example: shampoo containers or milk bottles. PET (Polyethylene terephthalate) – Example: fruit juice and soft drink bottles. Currently, only PET, HDPE, and PVC plastic products are recycled under curbside recycling programs. PS, PP, and LDPE typically are not recycled because these plastic materials get stuck in the sorting equipment in recycling facilities causing it to break or stop. Lids and bottle tops cannot be recycled as well. “To recycle or Not to Recycle” is a big question when it comes to plastic recycling. Some plastic types are not recycled because they are not economically feasible to do so. Every hour, Americans use 2.5 million plastic bottles, most of which are thrown away. About 9.1% of plastic production was recycled in the U.S. during 2015, varying by product category. Plastic packaging was recycled at 14.6%, plastic durable goods at 6.6%, and other non-durable goods at 2.2%. Currently, 25 percent of plastic waste is recycled in Europe. Americans recycled 3.14 million tons of plastics in 2015, down from 3.17 million in 2014. Recycling plastic takes 88% less energy than producing plastics from new raw materials. Currently, around 50% of plastics we use are thrown away just after a single use. Plastics account for 10% of total global waste generation. The plastics that end up in the oceans break down into small pieces and every year around 100,000 marine mammals and one million seabirds get killed eating those small pieces of plastics. The energy saved from recycling just a single plastic bottle can power a 100 watt light bulb for nearly an hour. The simplest of plastic recycling processes involves collecting, sorting, shredding, washing, melting, and pelletizing. The actual particular processes vary based on plastic resin or type of plastic product. Step One: Sorting plastics automatically or with a manual sort to make sure all the contaminants are removed from the plastic waste stream. Step Two: Melting down plastics directly into a new shape or shredding into flakes then melting down before being finally processed into granulates. Ongoing innovations in recycling technologies have made the plastic recycling process easier and more cost-effective. Such technologies include reliable detectors and sophisticated decision and recognition software that collectively enhance the productivity and accuracy of automatic sorting of plastics. For an example, FT-NIR detectors can run for up to 8,000 hours between faults in the detectors. Another notable innovation in plastic recycling has been in finding higher value applications for recycled polymers in closed-loop recycling processes. Since 2005, for example, PET sheets for thermoforming in the UK can contain 50 percent to 70 percent recycled PET through the use of A/B/A layer sheets. Recently, some EU countries including Germany, Spain, Italy, Norway, and Austria have begun collecting rigid packaging such as pots, tubs, and trays as well as a limited amount of post-consumer flexible packaging. Due to recent improvements in washing and sorting technologies, the recycling of non-bottle plastic packaging has become feasible. Plastic recycling faces many challenges, ranging from mixed plastics to hard-to-remove residues. The cost-effective and efficient recycling of the mixed plastic stream is perhaps the biggest challenge facing the recycling industry. Experts believe that designing plastic packaging and other plastic products with recycling in mind can play a significant role in facing this challenge. The recovery and recycling of post-consumer flexible packaging is a problem. Most material recovery facilities and local authorities do not actively collect it due to a lack of equipment that can efficiently and easily separate them. Oceanic plastic pollution has become a recent flashpoint for public concern. Ocean plastic is expected to triple in the next decade, and public concern has prompted leading organizations around the world to take action towards better plastic resource management and pollution prevention. The recycling of plastic bottles has been made mandatory in several U.S. states including California, Connecticut, Massachusetts, New Jersey, North Carolina, Pennsylvania, and Wisconsin. Please follow the respective links to find the detailed of plastic recycling laws in each state. Recycling is critical to effective end-of-life plastic management. Increasing recycling rates have resulted from greater public awareness and the increased effectiveness of recycling operations. Operational efficiency will be supported by ongoing investment in research and development. Recycling of a greater range of post-consumer plastic products and packaging will further boost recycling and divert more end-of-life plastic wastes from landfills. Industry and policymakers can also help stimulate recycling activity by requiring or incentivizing the use of recycled resin versus virgin plastics. Plastic recycling industry associations are the bodies responsible for promoting plastic recycling, enabling members to build and maintain relationships among plastic recyclers, and lobbying with government and other organizations to help create the best possible environment for the plastic recycling industry. The Association of Plastic Recyclers (APR): APR represents the international plastic recycling industry. It represents its members which include plastic recycling companies of all sizes, consumer plastic product companies, plastic recycling equipment manufacturers, testing laboratories and organizations that are committed to the advancement and success of plastic recycling. APR has multiple education programs to update its members about the latest plastic recycling technologies and developments. Plastics Recyclers Europe (PRE): Established in 1996, PRE represents plastic recyclers in Europe. Currently, it has more than 115 members from all over Europe. In the first year of establishment, PRE members recycled just 200 000 tons of plastic waste, however now the current total exceeds 2.5 million tons. 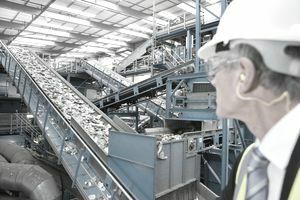 PRE arranges plastic recycling shows and annual meetings to enable its members to discuss the latest developments and challenges in the industry. Institute of Scrap Recycling Industries (ISRI): ISRI represents over 1600 small to large multinational companies include manufacturers, processors, brokers and industrial consumers of many different types of scrap commodities. The associate members of this Washington DC-based association include equipment and key service providers to the scrap recycling industry.